In addition to his weapons and armour a Roman soldier was trained to carry a considerable amount of other equipment. 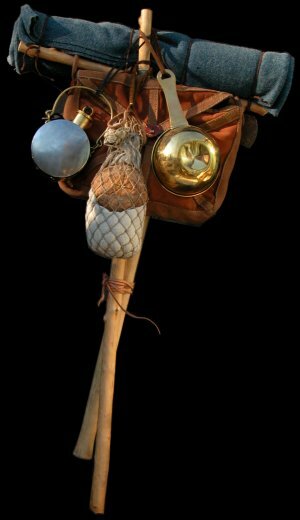 This was mainly carried on his shoulder as a pack mounted on a wooden cross frame. The contents of this pack are thought to include three days rations (although some sources quote as much as 17 days), a canteen of water, cooking equipment, a selection of tools, a cloak for bad weather and sleeping under and probably some spare clothing. Best estimates for the weight of the soldiers load including weapons and armour come to somewhere in the region of 30kg. which fits well with the amount a modern soldier is expected to carry. 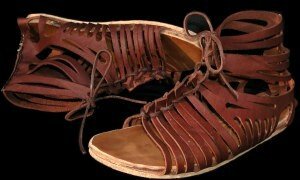 It is quite possible that the most famous pieces of the roman soldiers equipment is the caligae or military boot often referred to as sandals. The complicated appearance of these boots conceals there simplicity of construction and practical hard wearing design. 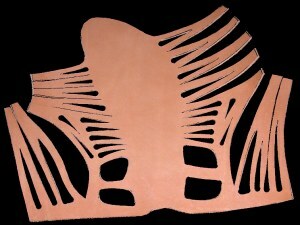 Most of the work to make these shoes is cutting with only a very small amount of stitching at the back of the heel. My experience with ancient footwear (Bronze age to 17th Century) indicates that there are two weak points in most designs. In addition to the equipment carried individually, every eight men had the use of a mule to carry a tent, a rotary quern for milling grain, some of the heavier tools and I suspect anything else the men could secretly offload upon it without causing it’s collapse. Cooking equipment consisted of a bronze pot with a loop handle, a smaller pot with a straight handle, a grill ( it is unclear whether this was shared or carried by every soldier) and the quern mentioned above. 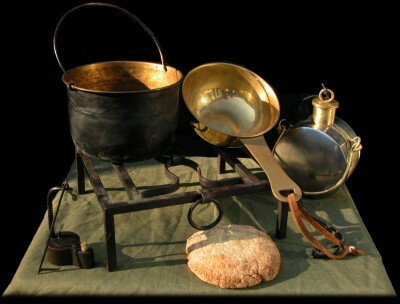 The picture here also includes a water canteen, an iron oil lamp and some hard tack rations (buccellatum). A Roman boot lasts me four or five times as long as any of my other authentic footwear and I have to say is more comfortable than most. We are fortunate when studying the Roman army that they kept excellent records and many contemporary Roman writers took great pride in their army and produced useful accounts of their training and equipment. A waterlogged ditch in the Roman fort of Vindolanda produced some of the most revealing information about Roman military life that has ever been found. 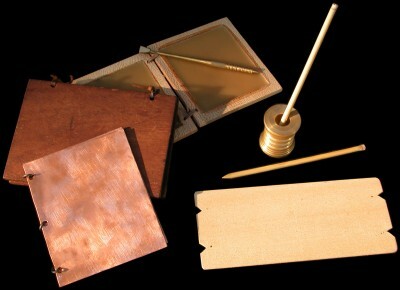 Records written in ink on wooden tablets bring to life ordinary soldiers, officers and families from the end of the first century in Britain. At the end of 25 years of army service an auxiliary soldier was granted Roman citizenship. A permanent record of this was given in the form of a Diploma, sometimes inscribed on bronze sheets bound together like a wax tablet.